Google Reader is finally done. It is sad to see Google Reader go but there is nothing we can do about it now. Digg is one of the few companies that have stepped up to offer former Google Reader users a nice alternative. Digg Reader is already available online and for iOS devices. Digg for iPhone & iPad lets you add new feeds and keep up with the ones you are already tracking. Those of you who used Digg before Google Reader died probably used it to import all your feeds fast. The process was fast and easy. You can add new feeds and save stories from your favorite sites to Digg, Instapaper, and Pocket. The app offers voiceover support for the blind and visually impaired folks. 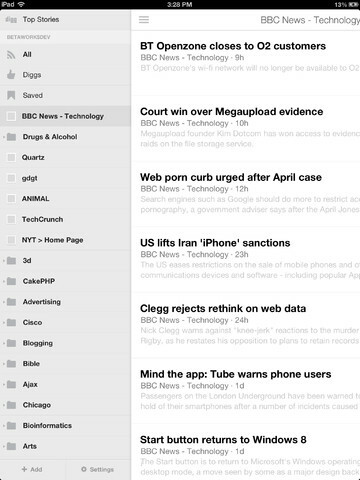 Digg Reader lets you organize your folders conveniently. Digg remains a work in progress at this point. The folks behind it are working hard to add new features to it. 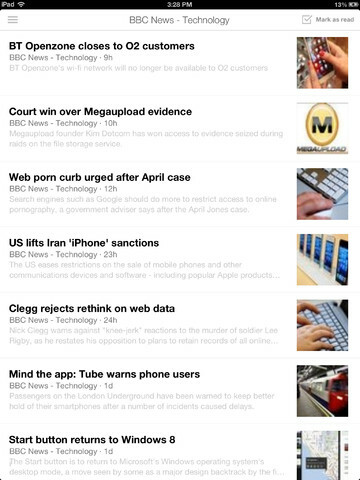 If you have tried Feedly and NewsBlur and are not satisfied, Digg Reader is well worth checking out.